Your New Year's resolution is in its first stages, but there are cars, trucks, vans and SUVs that can get you to its conclusion. Marist Poll discovered last year that 44% of Americans planned to make a New Year's resolution in 2018. That jumps to 54% for Americans younger than 45 years old and 63% of those under 30. However, of those who vowed to make changes after 2017, 68% stuck to their word, down from 72% in 2013. Automakers like Honda (HMC - Get Report) , Toyota (TM - Get Report) , Ford (F - Get Report) and General Motors (GM - Get Report) can help more resolutions become reality. Just about all of the 2018 resolutions are going to sound familiar to anyone who's ever bought a gym membership or met with their financial advisor around this time of year. Nearly 28% of those resolutions involved losing weight, exercising more or getting healthier in general. Another 6% want to spend less money and save more. The same percentage wants to stop smoking, while 5% just want to be kinder to others or "enjoy life." Automakers may want to resolve themselves to being more active in 2018 after watching vehicle sales in the United States fall 1.8% last year. While the more than 17.2 million vehicles sold is still historically impressive, it's a distinct slowdown from 2016's record pace, and includes a nearly 11% drop in car sales. The rapid pace of the industry's recovery from both automaker bailouts and the economic collapse has been slowed a bit by consumer preference. With the average gas price making still below $2.50 nationally, automakers are trying to draw more connections between cars and people's lives that just their daily commute and the distance between Point A and Point B. We don't know what's up with the '90s extreme theme restaurant name, but the Jeep Wrangler's Rubicon package has been the gold standard for this 4x4's off-road capabilities. It's the Jeep you see with the doors off long before it gets to the dunes or onto the beach. It's the Jeep with the spot for a winch already built into the front bumper -- which already has fog lamps and removable caps. 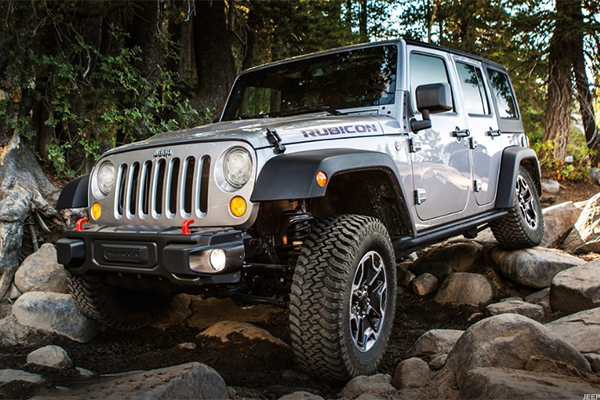 The rock rails, the slush mats, the low crawl speed, the locking differentials, the skid plates, the disconnecting sway bar for uneven terrain, the tow hooks... all of this makes the Rubicon an easy off-road entry point. Want to take up less parking space, use less gas and be more modest about your choice of vehicle? 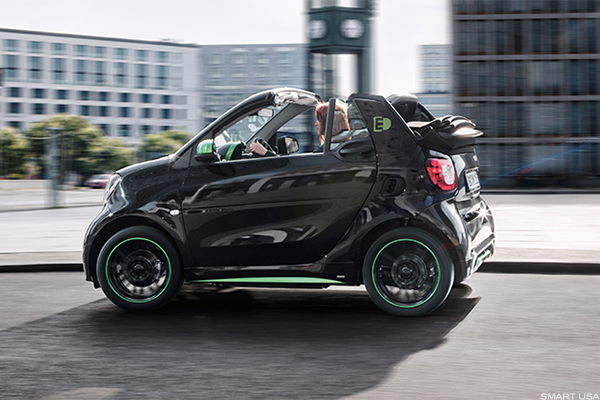 There are few vehicles that accomplish all of those goals less smugly than the Smart. While the gas-powered version is leaving the U.S., the electric version is taking advantage of that $7,500 electric vehicle credit while it can. The 58-mile all-electric range and 108 miles per gallon equivalent of combined mileage are on the lower end of the electric vehicle spectrum, but its widened wheelbase, smartphone dock, myriad vehicle apps and other features make it far easier to give your neighbors some more room to parallel park and for you to take up less room on the roads overall. Since Chevrolet scrapped its Spark EV in favor of the costlier Bolt, you can't get an electric vehicle or even a low-mileage hybrid for anything approaching this price. What it is a spartan hatchback that gets 40.5 miles per gallon. That said, we'll stress that this 3-cylinder, 78-horsepower vehicle is not big by any measure. About 12 feet long and little more than five feet wide, the Mirage doesn't even provide the illusion of space. However, its 17 cubic feet of trunk space is larger than the Volkwagen Jetta's and increases to 47 cubic feet with the hatchback's seats down. 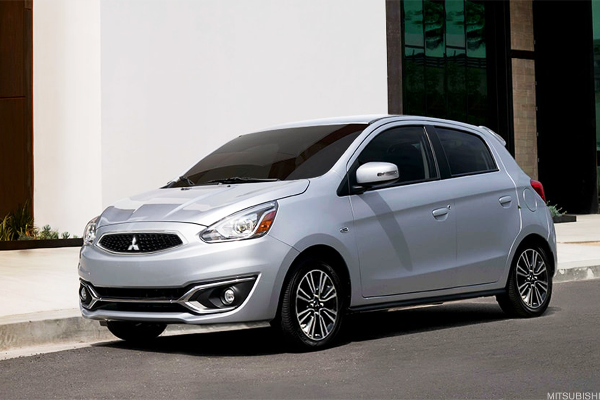 Throw in a pushbutton starter, touchscreen audio, Apple Play/Android Auto, Bluetooth, rearview camera, available navigation system and automatic climate control and you're getting a whole lot in this little package. It took Hyundai long enough to jump into the hybrid and electric vehicle market, but the Ioniq is doing so all at once. This line already includes a hybrid and a plug-in hybrid, but this electric model doesn't hit dealerships in California or a handful of other states until April. For everyone else, it's going to be a special order. 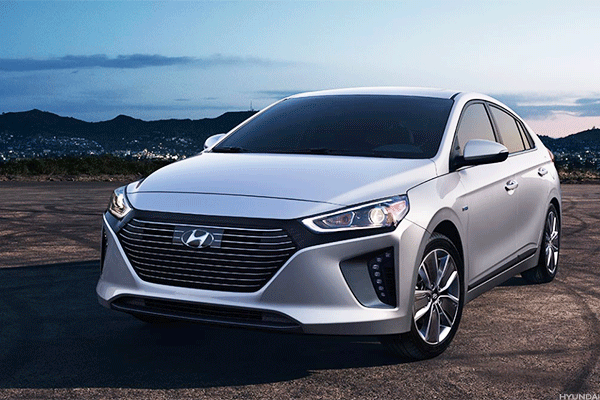 The parts of the Ioniq made of sugar cane, volcanic rock and recycled plastic are great and all, but Hyundai has added a 7-inch touchscreen, Apple Play, Android Audio, Blue Line telematics, navigation, wireless device charging, heated seats, leather steering wheel, sunroof and sensor-based safety features to do much of the heavy lifting. Its 124-mile electric range is below the Tesla Model S' 270, but the Ioniq's 136 combined mile-per-gallon equivalent is better mileage than anything Tesla can offer. The convertible Miata is every bit the same powerhouse as the Porsche Boxster it competes against. OK, so the engine is is a little pokier at 155-horsepower from a 2-liter, 4-cylinder. That said, the two cars have similar acceleration (zero to 60 in 6.5 seconds for the Porsche, seven seconds for the Miata), similar ratings from Consumer Reports (90 for Porsche, 89 for Mazda) and similar customer satisfaction. 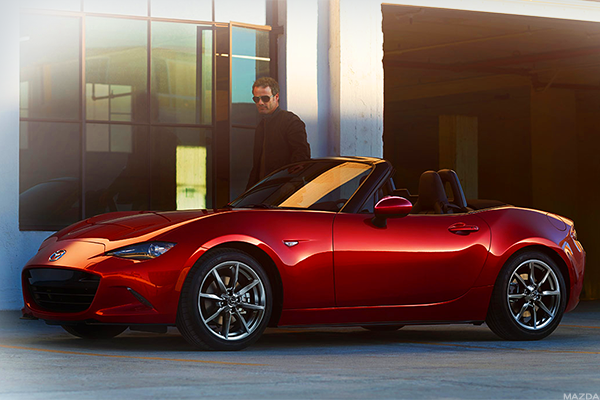 The Miata's available hardtop that kicks the starting price up above $27,000 -- still far less than the Boxster's $52,000 starting price -- but only closes the gap further. Just about any hybrid will turn the gas-powered part off when you come to complete stop and use the electric motor to move you forward once you step on the accelerator. It's why the Prime's mileage is 55 miles per gallon in the city, but just 53 on the highway. The plug-in hybrid Prime, however, gets 133 miles-per-gallon equivalent out of its fuel and electric mileage. Loaded with remote air conditioning, a heated steering wheel, heated front seats, backup camera, power and USB outlets, Entune audio and navigation, a 7-inch high-resolution touch-screen with split-screen display, Siri Eyes Free advanced voice recognition, SiriusXM Satellite Radio and nearly 20 cubic feet of trunk space, the Prime makes the most of its time in stop-and-go traffic. 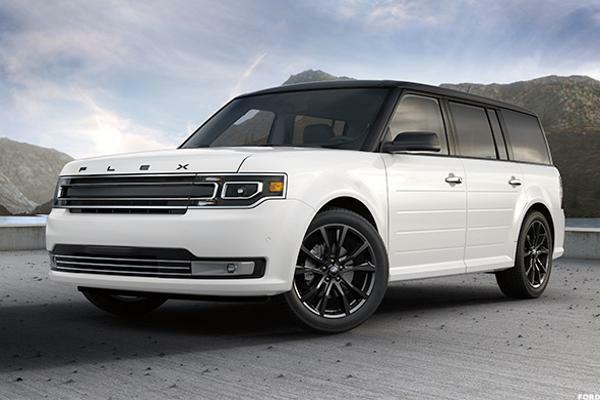 Basically a minivan in a crossover's body, the Flex has room for seven, 44 inches of legroom in the second row and a power folding mechanism for getting into the third row. We'd tout the 55 cubic feet of cargo with the third row down (or the 108.3 cubic feet with both the second and third rows gone), but it's the perks in those rows that make this vehicle a hotel on wheels. Sliding second-row captain's seats, Microsoft Sync phone, entertainment and navigation systems in its MyFord Touch screen, a DVD entertainment center for the back, a multipanel sunroof, a third-row seat that flips into a rear-facing tailgate bench and a second-row fridge console that holds a six pack of cans all keep the passengers nice and sedate. The 12-volt outlet in the rear cargo area, optional 110-volt inverter and 80 cubic feet of total cargo room also make it a rolling media room for a tired crew that's enjoyed life a little too much. The lightweight aluminum body and 3.6-liter V6 engine are nice, but it's the waterproof, drainable RamBoxes in the sidewalls of the bed that'll help you be kind to others. Ram says those boxes "fit up to 240 cans of your favorite beverage in a 5'7 bed or 280 cans in a 6'4 bed configuration" apiece. In a truck with 74.7 cubic feet cargo capacity and 1,300 to 1,600 pounds of payload capacity, that's not just some tailgate trinket: That's a day of "helping." 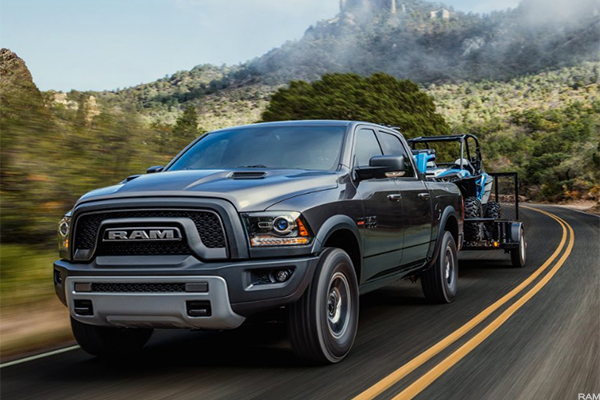 If you've ever owned a truck before and seen the look in your friends' eyes when they size up the bed for furniture, boxes or a load of dirt, you know there's a moving or gardening day in your future. You might only get paid in pizzas or six-packs, but you'll be fairly popular and get a whole lot more face time with people you didn't see all that often last year. 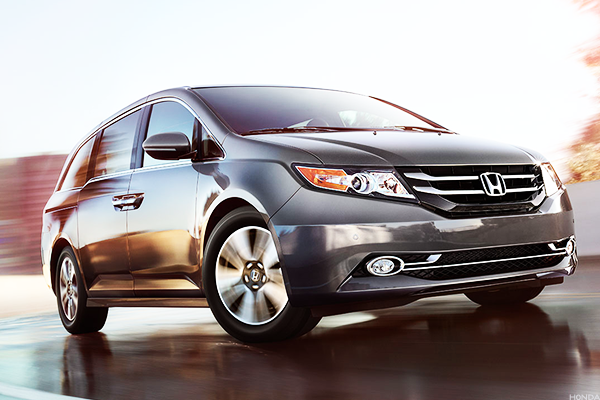 There's perhaps no more family-oriented vehicle than the minivan. It's why the Odyssey's versatile cabin seats up to eight, with second-row seats that can be configured to fit three child seats. The Odyssey's removable center console offers a useful flip-up trash-bag holder, and there's also a "cool box" beverage cooler to accommodate chilled refreshments. Best of all, an in-cabin vacuum is an available option for parents who just know that a healthy percentage of that trip's road snacks are going to end up on the floor. Meanwhile, when it comes time to pack the kids up for college or to move to your downsized condo, the 148.5 cubic feet of total cargo space will come in handy. Kelley Blue Book considered this hatchback its best back-to-school car of 2017, so who were we to argue? It's less than $20,000, which is about the best a cash-strapped student can ask for, and has 52.7 cubic feet of cargo space with the seats down for moving (or commuting) to campus. Blind-spot cameras, a multi-angle rearview camera, touchscreen audio system, Bluetooth connectivity, an app suite, leather-trimmed and heated seats, a moonroof and satellite navigation all come standard: Which is great when you have meals, books and a ton of new fees to pay for. The Corolla gets 35 miles per gallon combined, including 40 on the highway. Last year, it came with the Toyota Safety Sense-P system and its collision-prevention features standard. It has a roomy back seat and available upgrades like a faux leather interior and 7-inch infotainment system, and the Corolla's value equation only rises. As Kelley Blue Book points out, all of that makes it an ideal vehicle for car-sharing services like Uber and Lyft. 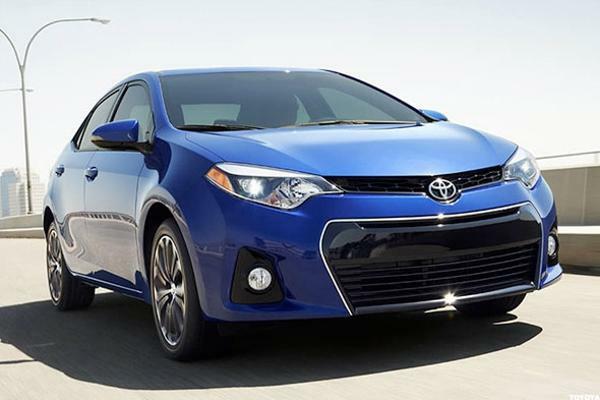 Meanwhile, the Corolla's estimated five-year cost to own comes to $32,251 including gas and maintenance. That, works out to $6,450 annually, or about $124 per week, which puts it ahead of competitors including the Hyundai Elantra, Dodge Dart, Kia Forte, Honda Civic and Chevy Cruze. The "better" part of this job description may vary by driver, but it's certainly one means of padding income in 2018. The 97.1 cubic feet of passenger volume and 19.4 cubic feet of cargo space is smaller than that of Toyota's Prius V or Ford's C-Max. 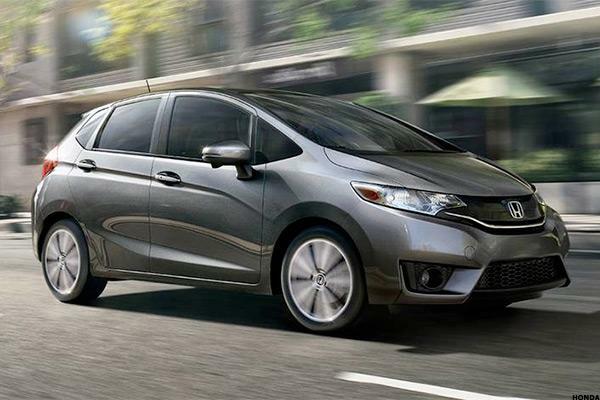 Its 104 horsepower falls below that of the C-Max and Honda's HR-V and only its satellite radio and auxiliary jack really stand out from the crowd. So why shouldn't you worry about this vehicle? 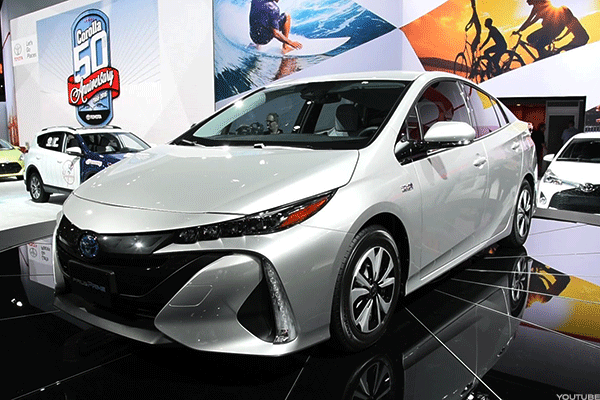 Well, you won't have to worry about stopping at the gas station, as this hybrid gets 50 miles per gallon combined. 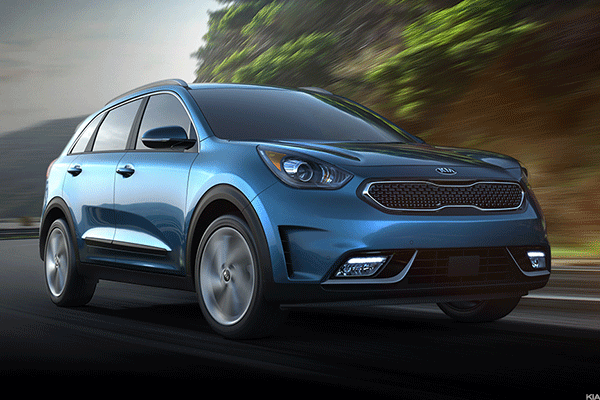 But, according Consumer Reports, you shouldn't worry about the Niro much at all. After putting it through rigorous driving tests, the Niro was named one of the consumer publication's 10 most reliable vehicles. That it was also the least-expensive vehicle tested should ease your mind as well.